The men of Britain's Merchant Navy, although unarmed civilians going about their normal business, were the first to be involved in the war against Nazi Germany. For almost six years they faced their own private hell of torpedoes, bombs, shells and mines, all the while fending off their old arch-enemy the sea. The price they paid was horrendous - 2,246 ships lost, 29,180 men killed and countless maimed or wounded. 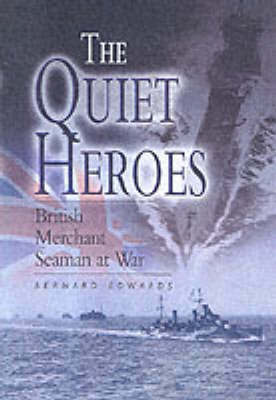 This book tells the story of just a few of these Quiet Heroes.